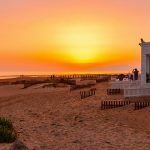 There is a tapas bar in every corner of Conil de la Frontera, Cadiz; from the city centre to the waterfront of this town in Costa de la Luz. Going for tapas in Conil de la Frontera is the best way to know all the corners of this seaside town and its people. Tapas bars where we can try some dogfish cubes, some prawns and other delicacies of the land accompanied by a cold beer or a glass of wine. 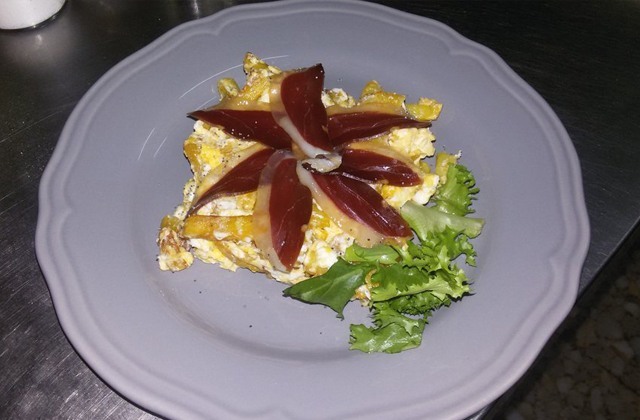 It is not difficult to enjoy tapas in Conil at a very affordable price. Come and see for yourself. It has a good reputation with locals who appreciate the quality of its dishes, like paella and baked fish, (it has to be ordered a day before). The Galician octopus is another favourite and there is a wide selection of meat such as sirloin Stroganoff and smoked meat. The staff is warm and friendly, and will happily tell you about the chef’s recommendations. 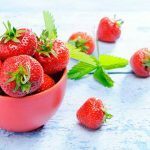 The owner and chef José Antonio Trujillo Muñoz has twenty years experience in the catering sector, most of them in Costa del Sol, where he honed his skills in the kitchen. His goal is to provide traditional cuisine at competitive prices. 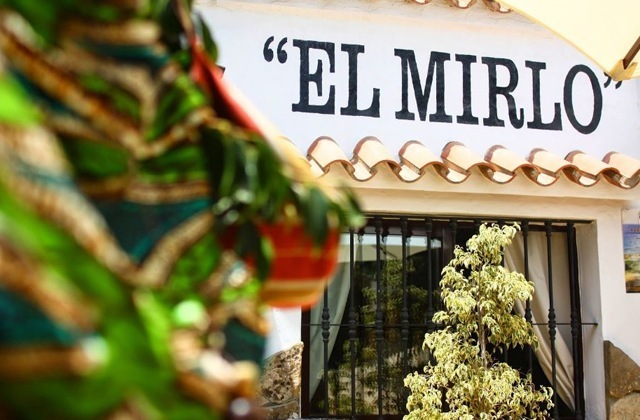 Bar El Mirlo offers tapas and homemade dishes at very good prices. You can enjoy specialties and a friendly service within a family atmosphere. Croquettes, aioli pumps, shrimp skewers and bacon, scrambled eggs with garlic and prawns, seasoned roe are only some of the many options this establishment has to offer. Refreshing avocado salads with prawns and peppers, plus gazpacho and salmorejo are the most refreshing options. For meat lovers we recommend our homemade meatballs, carne al toro and the succulent tenderloin skewers. 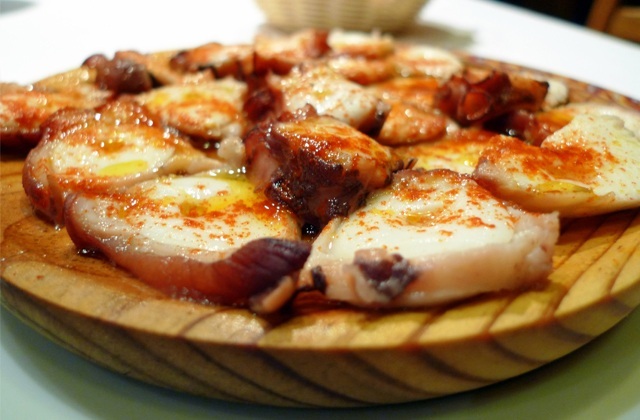 Those who prefer to enjoy fresh fish, they have a wide variety at their disposal: cuttlefish or fried calamari, onions tuna or Galician octopus, to name a few. On the terrace you can enjoy healthy and delicious dishes offered by its always friendly and attentive staff. The chef prepares his creations with quality products from the area. 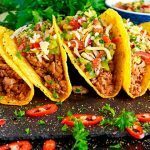 Its cuisine is characterized by a touch of creativity that will delight your senses. You’ll be able to enjoy onion and tuna tapas, potatoes with mojo, meatballs with cheese … and do not miss the great selection of exquisite fish from the coast of Conil and its surroundings; the trap tuna steak and cod fillet in smooth cream cannot be missed. 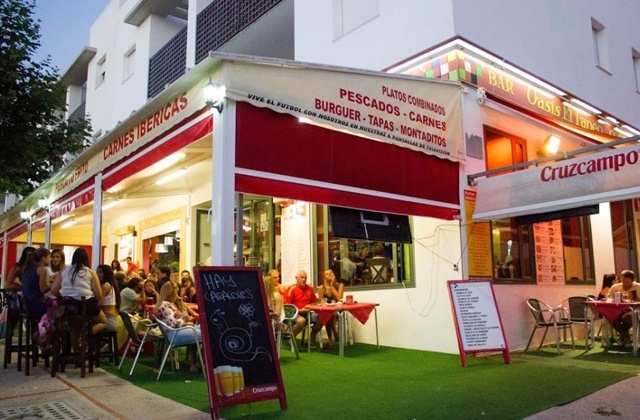 The “Bar Oasis EL TAPEO” in Conil offers a varied selection of food such as tapas, sandwiches, burgers, meals, fried fish, seafood, Iberian meats and fish from the bay, you will also enjoy the large covered terrace in a family pleasant atmosphere. For sports fans, you can enjoy the 6 TV screens the establishment features! 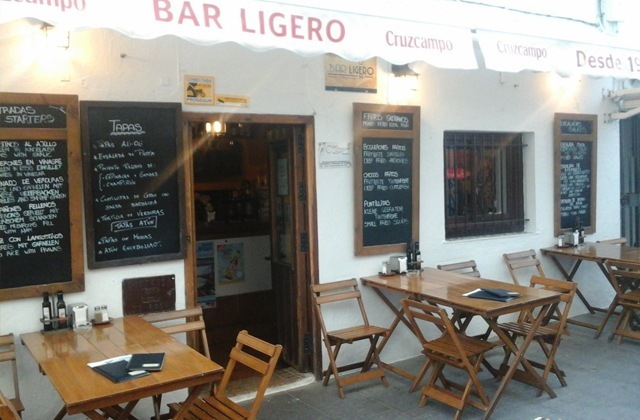 The popular tapas bar “The Tebeito” is open all year and is sought by many tourists through word of mouth, as well as locals who regularly frequent the bar. You can enjoy food and drink inside or on the spacious terrace overlooking the Plaza Goya. It is only a few minutes walk from the promenade. 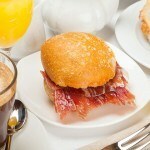 In addition to the wide selection of tapas, there are sandwiches, mixed dishes, fish and meat dishes to choose from. 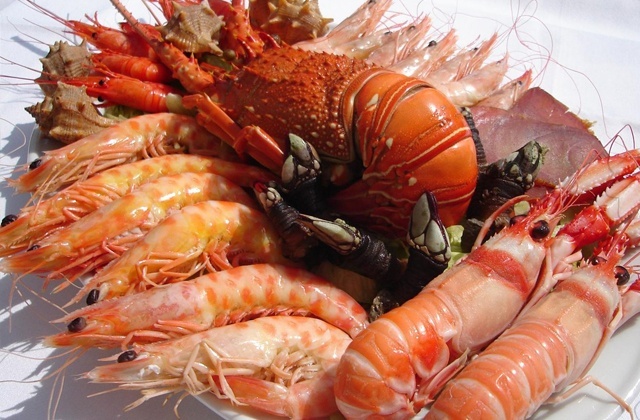 If you are fond of seafood, starting from Easter week onwards, you can enjoy the great selection of seafood that is offered to eat on the premises or to take away. In this central establishment you can satiate your appetite with tuna specialties, such as roe of tuna or tuna tataki, as well as various fish dishes, including fritters, squid jigging, diced lemon snapper, sea bass croquettes; and other treats, such as jacket or some tasty cold toast casserole, marinated salmon and tartar sauce or marinated tuna with gazpacho cream, among others, as well as delicious hot crostini, or grilled tuna with aioli. 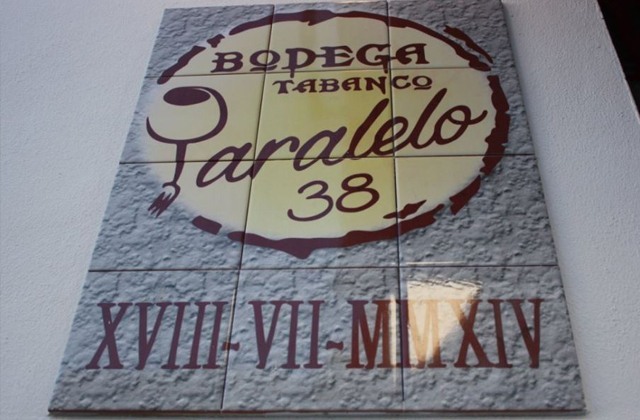 To accompany your dishes Paralelo 38 offers a wide selection of wines: Wines from Chiclana (Moscatel, Amontillado, Mistela, Vermut), Rred wines (Gran Feudo Crianza, Tabernet, Baluarte Roble), as well as fortified, rosé and white wines. Feel free to visit La Bodega Tabanco Paralelo 28. 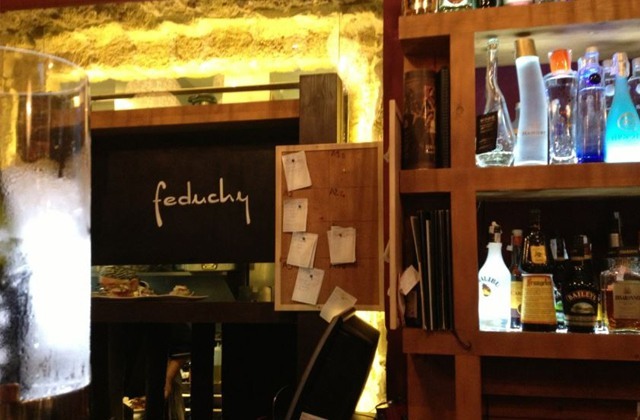 Its delicious dishes and wine selections will satisfy whoever tries them. One of the best known establishments in Conil in an unbeatable location, just off Santa Catalina Church and within walking distance of La Torre de Guzman. 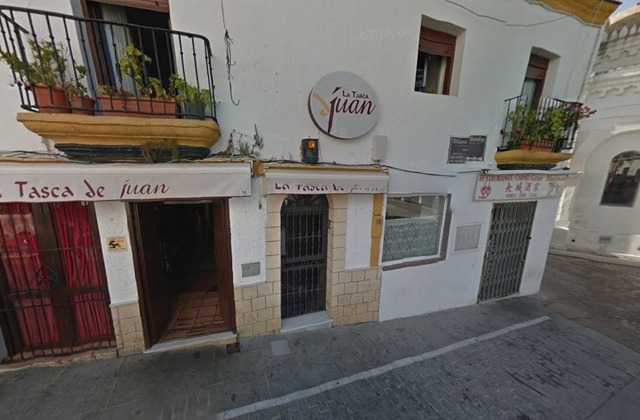 La Tasca de Juan has an outstanding record of excellence since its opening eleven years ago, and its fame grows through word of mouth. The staff is friendly and attentive, combined with the atmosphere and the quality of its food, which makes people want to return again and again. There is a good selection of tapas and good wines that can be enjoyed indoors or, if you prefer, outdoors on the terrace at the front or back of the restaurant. Ole Tapas Conil is a new restaurant inspired by Granada’s tapas bars. When ordering your drink, you can choose from a list on a board: prawn salad, gazpacho, Bocatin squid, homemade croquettes, mini burger with goat cheese… They also offer all kinds of rations: anchovies, baby squid, squid, cuttlefish… We recommend the tasty 200 g retinto burger with caramelized onions. After satiating your appetite you can order one of the special coffees such as the Irish, Cynamon, Cuban or Jamaican. In the evening you can savour delicious refreshing milkshakes or cocktails (Mojito, Pina Colada, Caipirinha, Bloody Mary). 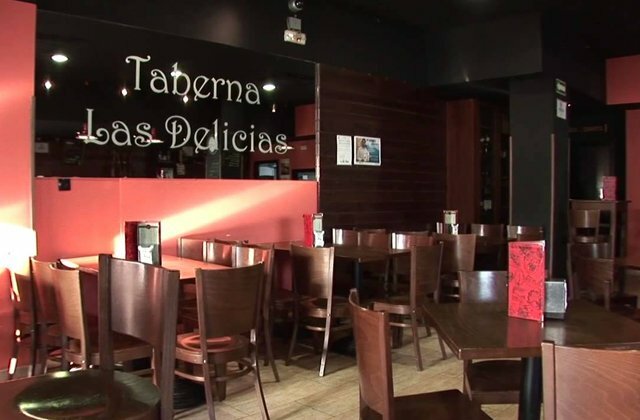 Taberna Las Delicias in Conil has a warm and welcoming atmosphere and offers a good variety of delicious tapas. 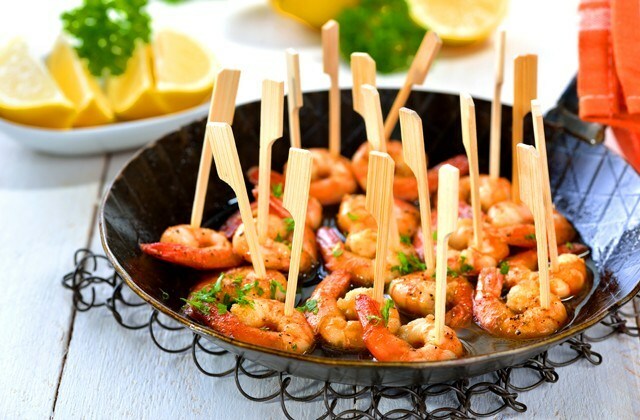 Enjoy from sandwiches to salads, scrambled eggs, toast, meals, rations and all kinds of tapas. Inside it is beautifully decorated, with a style which resembles wine cellars. They have a large covered terrace where you can enjoy your meal outdoors, but without the sun directly overhead. Establishment located on the ground floor of a building dating from the eighteenth century. originally a summer house belonging to the Feduchy, a rich merchant family from the city of Cadiz. The restaurant has a bar area with tables and then a very pleasant terrace. The venue serves tapas at noon and in the evening, and drinks for tea and after dinner. The kitchen is run by Roberto Sanchez Ureba, a young cook from Conil, another illustrious son of the city, Bartolo Sanchez. The dishes combine traditional and innovative style. 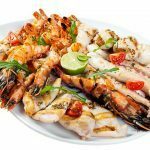 So here you can find from stew to fried fish, different fish each day depending on what they find on the market together with special burgers, salads, pates or creative dishes. The menu changes seasonally. 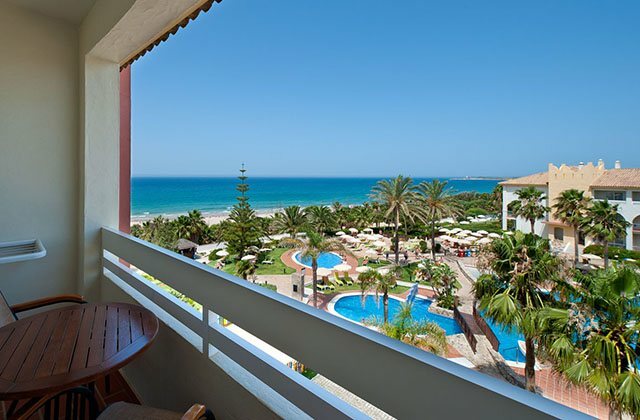 If you really want to enjoy the beaches of Conil de la Frontera, the place to be is Hotel Fuerte Conil-Costa Luz, located opposite one of the most beautiful beaches in Spain, Fontanilla, and only 10 minutes walk from the centre of Conil de la Frontera. 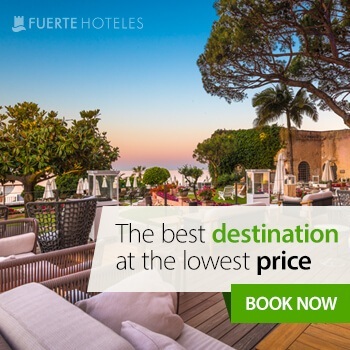 This is an exclusive Andalusian-style hotel with almost 25,000 m2 of gardens, where you can take part in workshops, visits and free bike routes organized to the Roche coves, among other activities.